You know that feeling when you meet a native speaker and all those words and sentences you thought you knew suddenly disappear in a puff of smoke? Even if you manage to give it a go and throw some words together, you end up feeling ridiculous, like a two year old with a sock in your mouth. The good news: you’re not bad at languages and it’s not as hard as you think it is. The reason we get stuck for words is that we simply haven’t had enough opportunities to practise using the language. Most language learning approaches focus on reading and listening, aka passive learning, rather than on actually producing the language. This means that we don’t get the chance to use the words and grammar we’ve learned to make novel sentences and express our ideas. To get better at speaking a language, we need to practise getting the stuff we’ve been learning passively out of our brains and into the world. The best way to practise this is by chatting to people who speak the language. But that’s not always easy. Maybe you’re mad busy at work, maybe it’s the holidays, or perhaps you just want a little practice before you dive in. 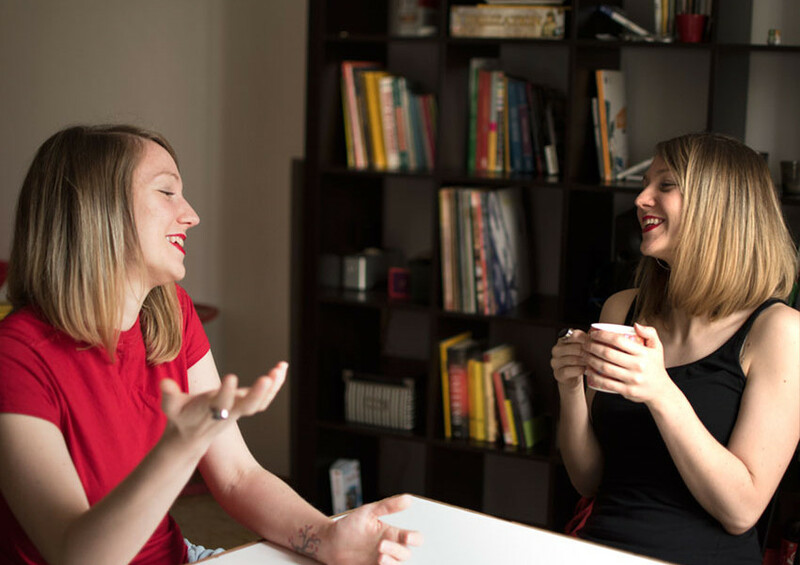 Even if you already meet native speakers regularly, nearly everyone wants more speaking practice. Indeed, one of the biggest challenges in learning a language is finding enough opportunities to actually speak it. 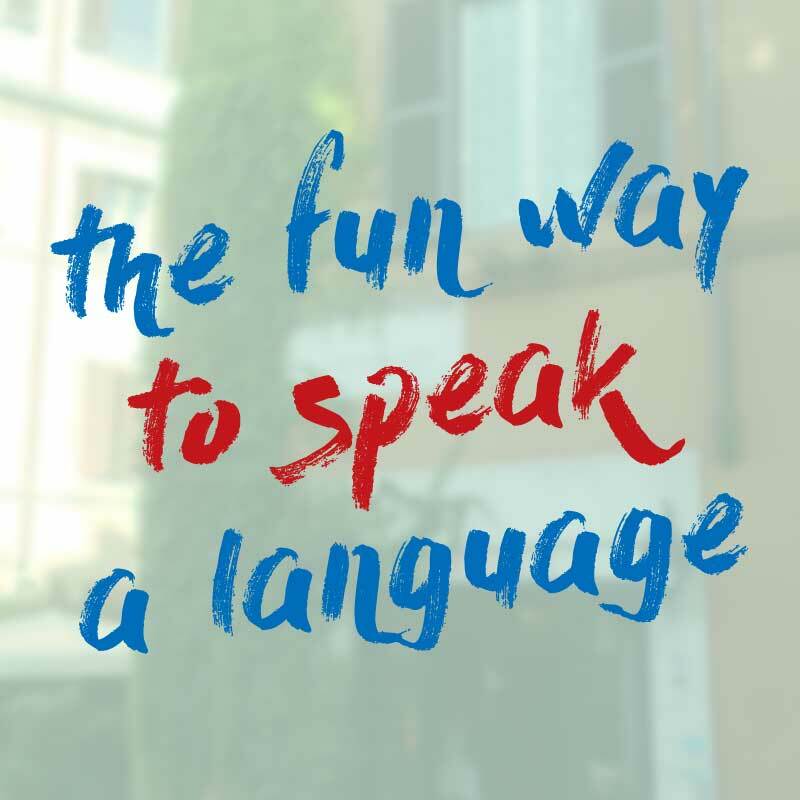 With a little creativity, it’s easy to get more speaking practice, even when there are no native speakers around to help. Here are four simple strategies already at your fingertips that will give your speaking skills a real boost. While these activities are no substitute for the real thing, they all help you develop one of the most essential skills for speaking: organising what you already know into sentences so that you can express yourself more fluently. When I first moved to Italy, I knew I wanted the full immersion experience. But I also knew my Italian wasn’t good enough to make friends with Italians without falling into the trap of using English all the time. Luckily, I met an English girl and two German girls in the same boat, so we decided to communicate with each other in Italian instead of English. We stuttered our way through coffees, lunches and nights out and after a few months we all spoke Italian well enough to build friendships with Italians, in Italian. Teaming up with other learners is a great way to get started: you don’t get expert corrections, but you do get plenty of opportunities to try stringing sentences together with empathetic listeners, which is often just what we need. One simple way to add a bit of speaking practice to your study sessions is to record yourself giving a quick 3 minute summary of what you’ve just listened to or read. This works well for 3 reasons: First, it gives you the chance to practise applying what you’ve just learned in real speech, which makes it easier to use in future conversations; Second, you can re-listen and correct your mistakes; Finally, it’s a great way to see your progress, which is really motivating. It can feel a little strange at first, but the more you do it, the easier it gets. Still, if you’re the type of person that would rather stick a fork in your eye than record yourself, you can use this technique without the tech: simply set your phone timer to 3 minutes and start talking. You know that little voice inside your head that starts wondering what you’re going to make for dinner tonight while you’re in an important meeting? It’s one of the best tools you have for improving your speaking skills. Try setting some time aside a day, for example on your commute or in the shower, to switch your internal monologue to the language you’re learning. Don’t worry if you struggle to express your ideas and get stuck for words at times. This will help you identify gaps in your knowledge and give you a good idea about what to learn next. More importantly, the simple act of practising putting words together into sentences will allow you to organise your thoughts more fluently, which will really boost your speaking skills. If you’ve got the house to yourself (or the people you live with already know you’re nuts), embrace your inner loon and start talking to yourself. The benefits of this are similar to tip 3, with the added bonus of pronunciation practice. Alternatively, if you’ve got a dog or cat at home, why not try speaking to your fur baby in the language you’re learning? Et voilà! I hope these 4 strategies have left you feeling inspired and ready to get chatting away in your chosen language. Have you tried any of the 4 techniques before? How do you work on your speaking skills when there are no native speakers around? Let us know in the comments below!